Facebook is launching an app store called the App Center that will showcase apps that exist on the social networking site’s platform and apps that tie in to the site using a Facebook login. The store will be accessible on the Web and on Facebook's iOS and Android apps, and will be available "in the coming weeks," according to an announcement on the site’s blog. Just about every platform has an app store these days, whether it's mobile (iOS, Android, BlackBerry, Windows Phone) or not (Mac OS X, Windows 8). So why wouldn't Facebook also have one? After all, people use Farmville and other apps on Facebook, and apps that tie in with the social networking service (such as Spotify and Pinterest). 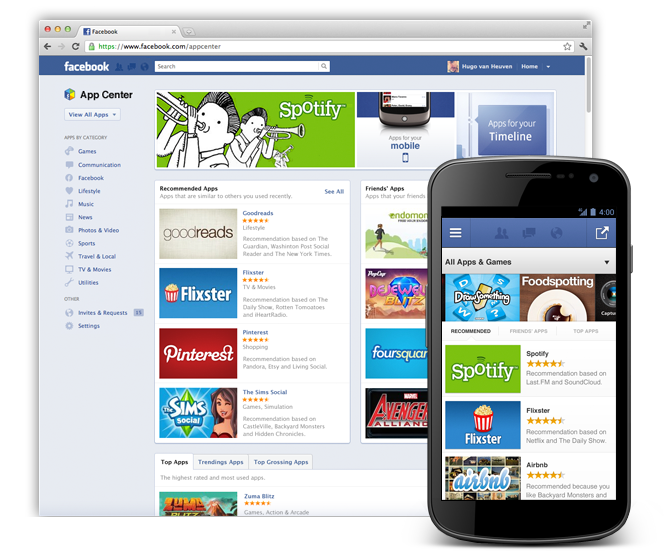 Facebook's App Center will be a little different from traditional app stores, though. For one thing, as CNET's Rafe Needleman points out, it's not really about selling apps. It's about promoting social apps that use a Facebook login, and promoting Facebook as a platform in general. According to Facebook's blog post, the App Center will be a place for users to discover high-quality apps, see detailed app reviews and ratings and purchase paid apps. On the mobile version, the App Center will also point users to mobile applications that use a Facebook login (users will be sent to the Apple App Store or Google Play to download those apps, though). This will give the entire Facebook app experience some structure as users will finally be able to rate apps, see detailed information about apps before allowing them to have unlimited permissions, and know what off-of-Facebook apps use the site’s login. At the moment, users are inundated with Facebook apps, creating a chaotic atmosphere. For example, if you click on a link from the Washington Post Social Reader app, you're immediately taken to the permissions page where you're required to allow the app access to your information so you can begin using it. There's no way to see what the app does or what people think of the app (if there was, you'd learn that nobody likes the Washington Post Social Reader app, and that you probably shouldn't install it). However, once Facebook's App Center is up and running, you'll be able to browse through apps and choose whether to install them based on their user rating and description -- not based on what permissions they ask of you. 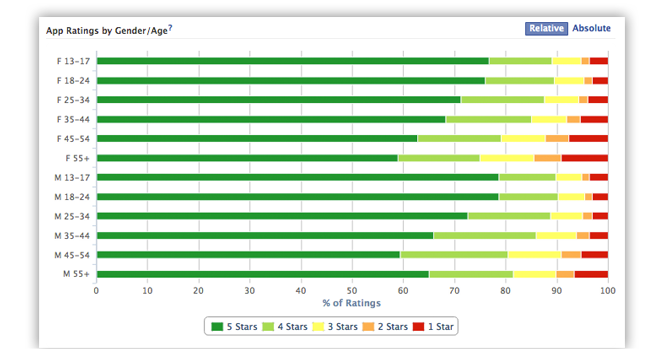 The App Center is also nice for developers, since it will allow them to promote mobile apps and offer paid apps. 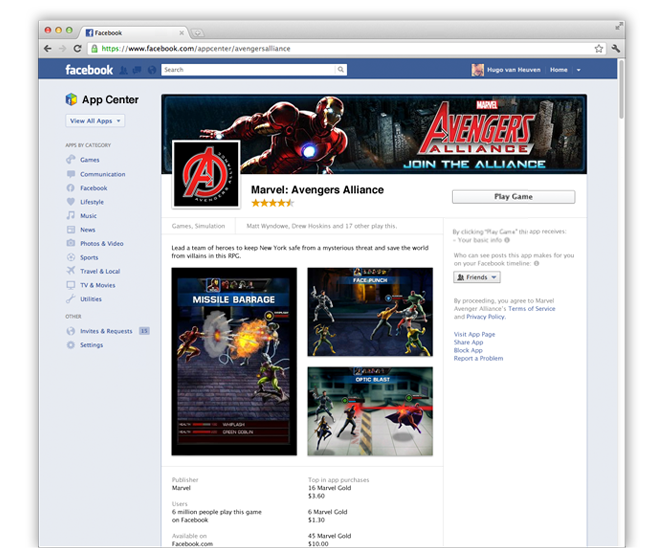 There are no straight-up paid apps on Facebook currently, only apps that require in-game purchases. As Needleman points out, Facebook has nothing to lose from this arrangement. The more users use Facebook -- even if they're only logging in via a third-party app -- the more data Facebook has on them, and the more targeted advertising can be. Plus, the ability to promote apps on the new App Center is a big incentive for developers to use Facebook login in their apps.